The Starbus Urban is a front engine parallel-hybrid diesel bus that is powered by a six-cylinder turbo intercooled engine that develops 130 hp @ 2,400 rpm and 430 Nm @ 1,350-1,800 rpm. 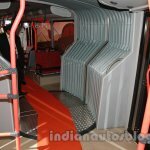 Its wheelbase measures 6,200 mm, while the vehicle's dimensions are 12,000 x 2,600 x 3,200 (L x W x H - in mm). 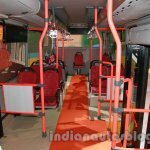 The seating capacity is 32+1 while there is space for 24 passengers to stand. 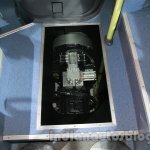 The floor height is 900 mm and the gradability is 17 percent. 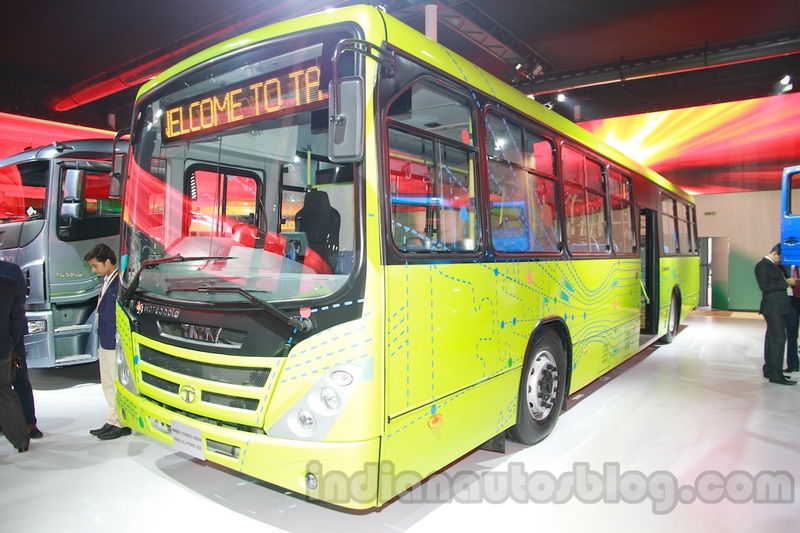 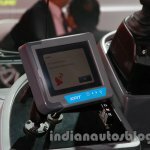 The vehicle's top speed is limited to 70 kph and the bus weighs (GVW) 16,200 kg. 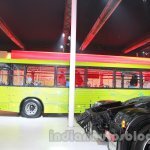 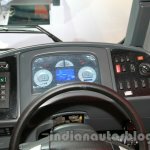 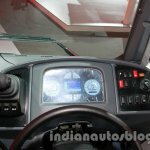 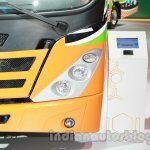 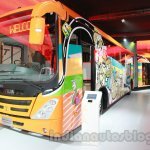 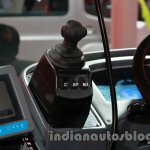 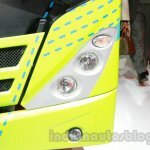 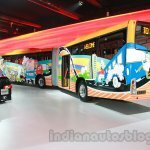 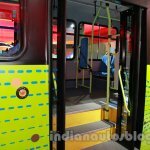 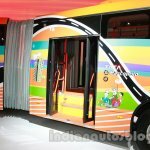 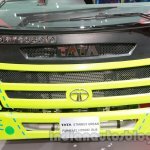 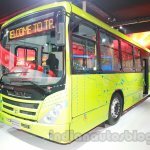 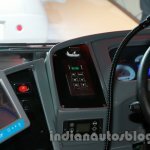 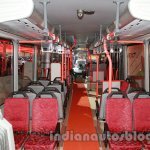 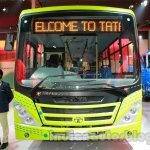 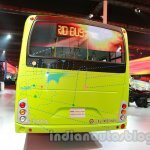 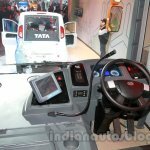 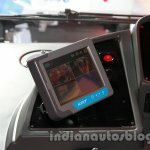 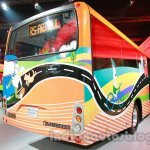 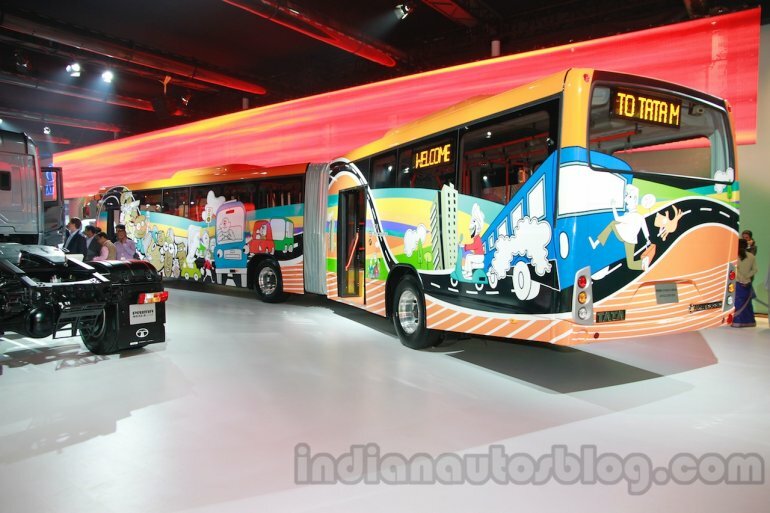 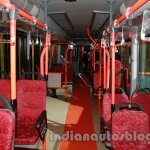 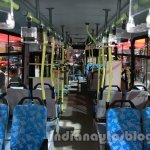 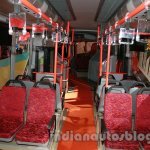 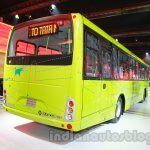 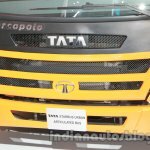 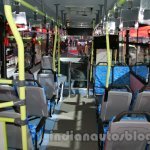 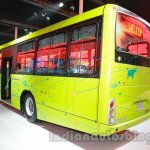 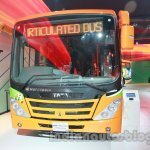 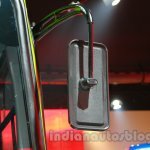 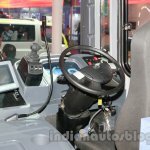 The Tata Starbus 9/18 is a front-engine triple-axle articulated bus powered by a six-cylinder Cummins 280 hp BS4 diesel engine that displaces 6.7 liters and produces 280 hp @ 2,500 rpm. 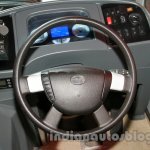 The first wheelbase is 6,200 mm, the second 1,815 mm and the third 1,815 mm. 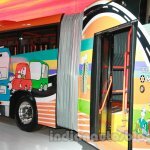 The vehicle measures 17,950 mm long and 2,600 mm wide, with an overhang of 2,600 mm. 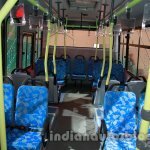 The steering system is of a hydraulic type, and the passenger capacity is 43 people seated, and 48 people standing.